Welcome to our Client Support and Service Center. 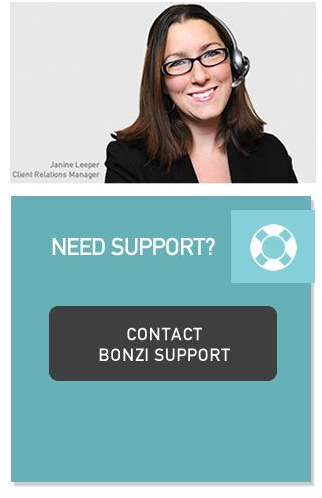 Use this center to find links to helpful resources and contact information for our Bonzi Support Team. Are you swamped at work or just need some advice on how to set up your registration so it runs smoothly? No problem. Simply fill out the Registration Setup Form and Bonzi will do the rest. Your event will be up and running in no time! Take a look at what's happening at Bonzi. You may find that we've added something new that you don't know about and would really help save you time. Bonzi offers free group training classes weekly on a variety of topics. Perfect for new clients or volunteers or for those wanting to get the most out their Bonzi software. This extensive help guide gives you easy assess to information about how to use your Bonzi software. It requires a username and password which you can find under the HELP menu in your Bonzi Club and League software.